This has been designed to work with the Zero3 stoneware body and Zero3 K glaze. Complete information on the recipes and usage of the Zero3 system can be found here. As of June 2017 it is not yet available as a premixed product, you must mix it yourself. 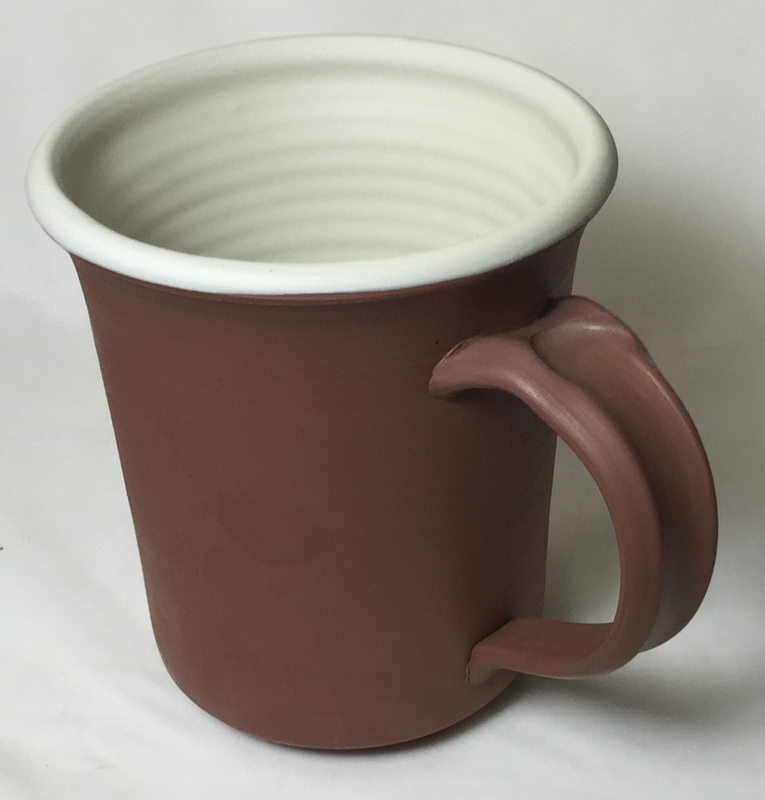 The interior and lip of this Zero3 stoneware leather-hard mug are coated with the Zero3 engobe. Zero3 stoneware with G2931K clear glaze. 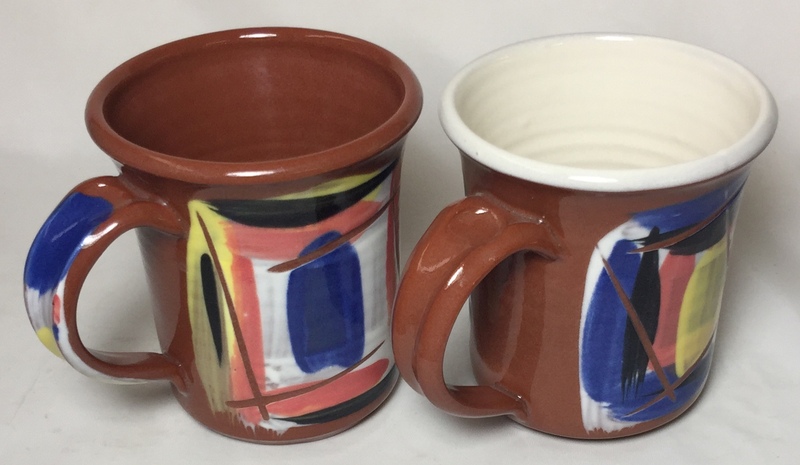 Mug on right has Zero3 L3685U engobe under the glaze.